The way of carrying out business in the world today is changing at a very high speed with new technologies taking a center stage. Both government and the private sector have no alternative other than to move in that direction and adopt the emerging new technologies to modernize their service delivery. One of the major problems of developing countries today is the adaptation and adoption of these new technologies that will enable them utilize their information resources efficiently and effectively to propel them towards economic growth and development. Governments must position themselves to ensure investment in and application of new technologies to harness the benefits of these technologies. 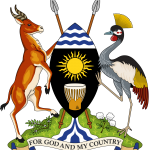 The Government of Uganda (GOU) recognizes the role of Information and Communications Technology (ICT) in fostering economic development and is taking steps to adopt the emerging new technologies in order to modernize service delivery. It is also the belief of the GOU that ICT should be utilized to move into the era of electronic Government (e-Government) that is aimed at demystifying the role of Government, simplifying procedures, bringing transparency, accountability, and making credible timely information available to all citizens and at the same time providing all services in an efficient and cost effective manner. It is for this reason that the development of this national e-Government framework for Uganda became critical. The document highlights the goal of the national e-Government programme and spells out its core pillars, critical success factors and an implementation roadmap which will be adopted to achieve it. Similarly, a document review and situational analysis, on which this framework is premised was carefully undertaken. Summary findings are discussed in section 2.1 of this document.